Accumulate 20 minutes on your hands. This can be a combination of handstand walking, handstand pushups, or handstand holds against a wall. For beginning athletes, this can be scaled to any position with the feet off the ground while maintaining a solid plank position. Our gym goal is to have every athlete capable of a 2 minute handstand hold against a wall and a 20 foot handstand walk. 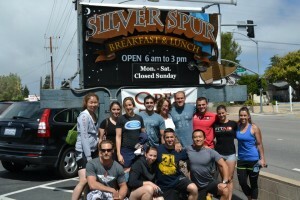 Breakfast with CrossFit Amundson at the Silver Spur! It’s tradition. From the picture it looks like Matthew Maconaghey (spelling) joins you for breakfast to. 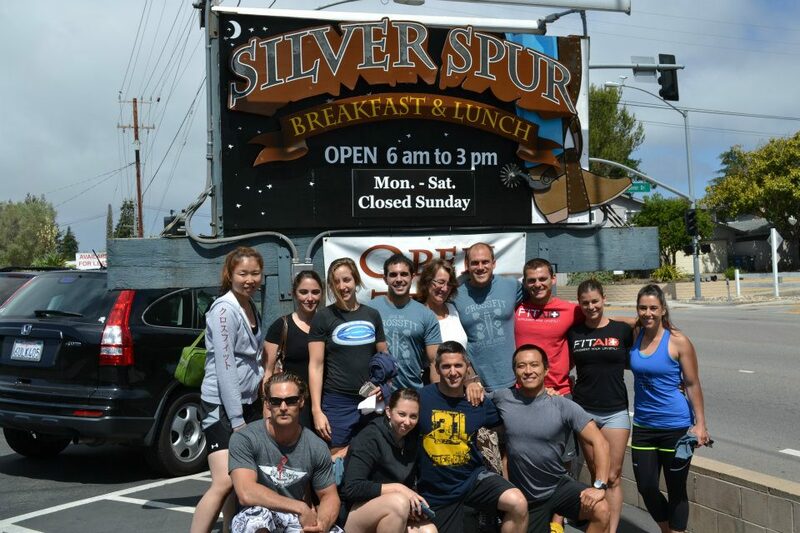 You never know who’s gonna show up at the Silver Spur!